Porter Wright has announced after 18 years as managing partner, Robert “Buzz” Trafford is transitioning the leadership of the firm to Robert J. Tannous, the firm’s chief operating partner. Trafford will remain a partner in Porter Wright’s Columbus office and will continue to focus his law practice on complex business litigation. 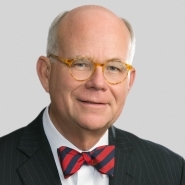 "I am very much looking forward to returning to devoting most of my time and energy to practicing law and continuing to serve the firm in whatever way I can," Trafford said. "Bob’s intellectual and personal skills, energy and commitment to the firm will make him a great managing partner." As chief operating partner since 2009, Tannous has been involved with the firm’s major processes on a daily basis and will take over as managing partner on Jan. 1, 2015. "I’m thrilled to have the opportunity to lead Porter Wright to the next level," Tannous said. "My primary goal is to build on the solid foundation and momentum the firm has achieved under Buzz’s leadership, vision and hard work." 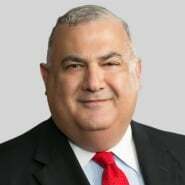 Tannous joined Porter Wright’s Columbus office in 1987 and specializes in representing public companies in federal securities, mergers and acquisitions and corporate law issues. He also advises clients on corporate governance, ongoing securities reporting and compliance, proxy statements, stock exchange compliance, mergers and acquisitions and executive compensation plans. After taking on the role of managing partner, Tannous will continue to maintain his busy corporate securities and mergers and acquisitions law practice. "Although the leadership at Porter Wright is changing, our quality of service and dedication to our clients will be as steady as ever," he said. Tannous will be Porter Wright’s third managing partner in the firm’s 168-year history.